It seems like just yesterday I wrote about the year 2013, and now 2014 is drawing to a close. Once again the months have flown by, and I am now into my fifth year here in Mexico. January began cloudy and blustery. Despite the cold temperatures in the wee hours of the New Year, throngs of people still crowded the streets smashing at pinatas and carrying suitcases in hopes of travel, both Mexican traditions at this time of year. 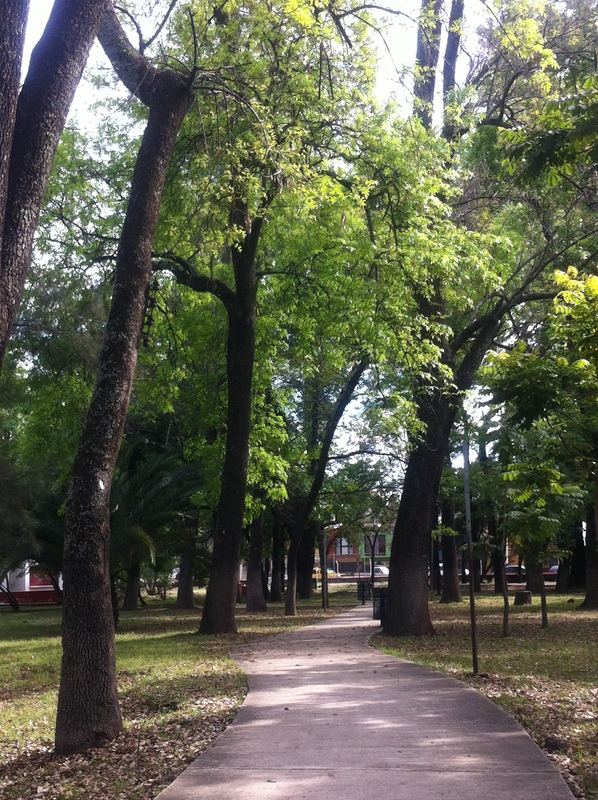 I took advantage of afternoon sunshine and warmth and headed for Parque San Rafael. After an enjoyable half hour walk, I arrived at the park. The swimming pool was drained, but several joggers were on the track. There were also soccer and raquetball games in progress. It may have been a cold winter day, but the park was just beautiful. Winnipeg…….you have competition. 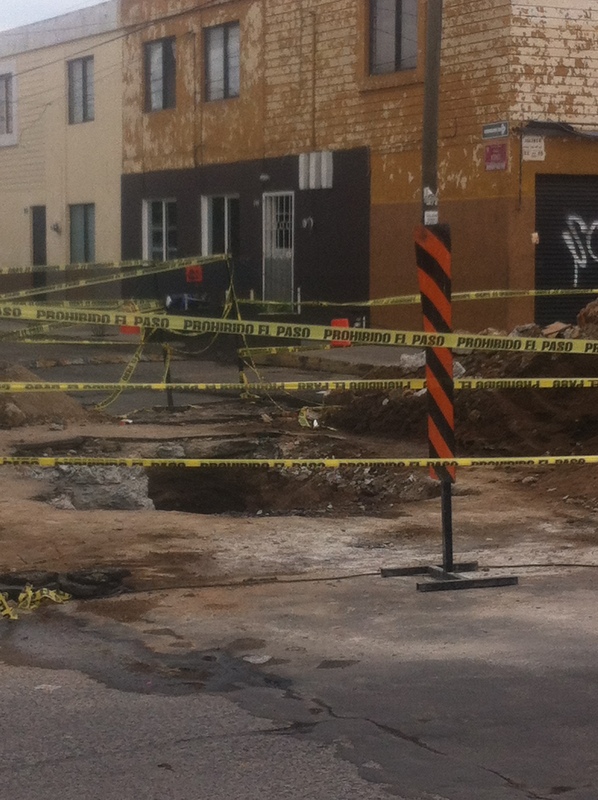 There was a watermain break just around the corner from my house. One Saturday afternoon we heard music and the boom of fireworks. We went outside to investigate and were amused to see a crowd of people throwing eggs filled with confetti. A woman with a huge wicker basket was handing out bags of candies and nuts. She explained to us that it was the celebration of the baby Jesus and that new godparents had been chosen. The couple pictured below received that honor. And no, that is a doll, not a real baby. 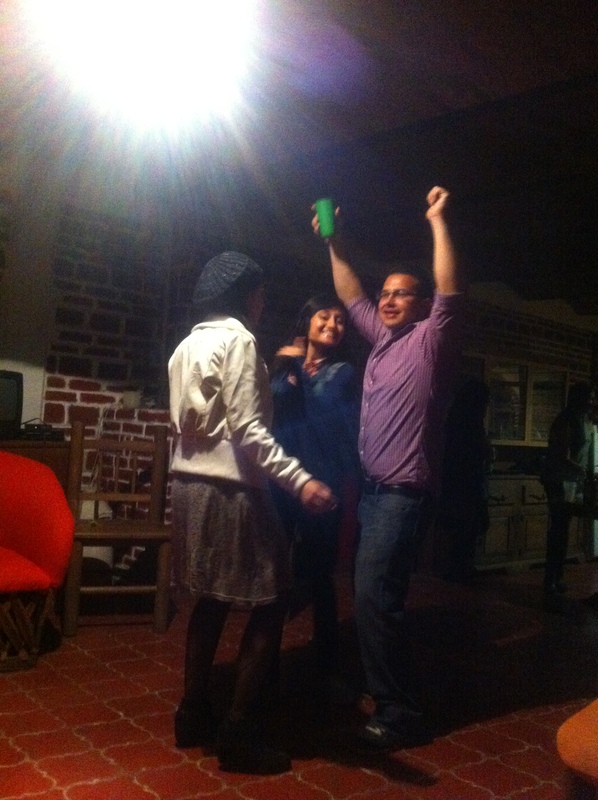 We also had a party at our house in January, complete with dancing and beer pong. Here is one of my housemates dancing up a storm. The weather in February was considerably warmer. On Groundhog Day I ventured out to Lake Chapala and Ajijic. 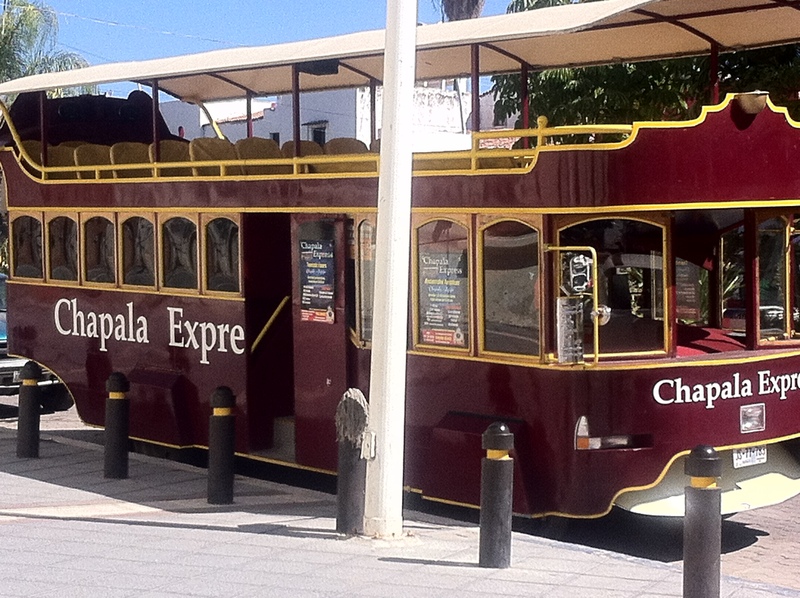 I played tourist and took a ride on the tram. The following weekend I spent the day strolling the streets of Tonola. 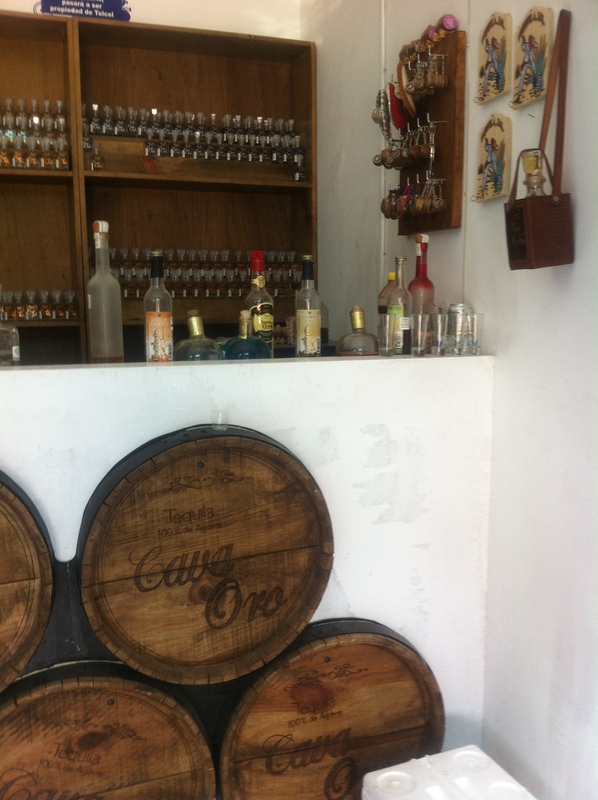 Another day trip later in the month found me in Tequila. Samples were mandatory on tours. The Virgin of Guadalupe parade in my neighborhood found the streets covered with alfalfa as the procession made its way to the church. Renovations in our house were finally complete and all the debris was hauled away. March was highlighted by my daughter’s announcement that she and her boyfriend were now engaged. 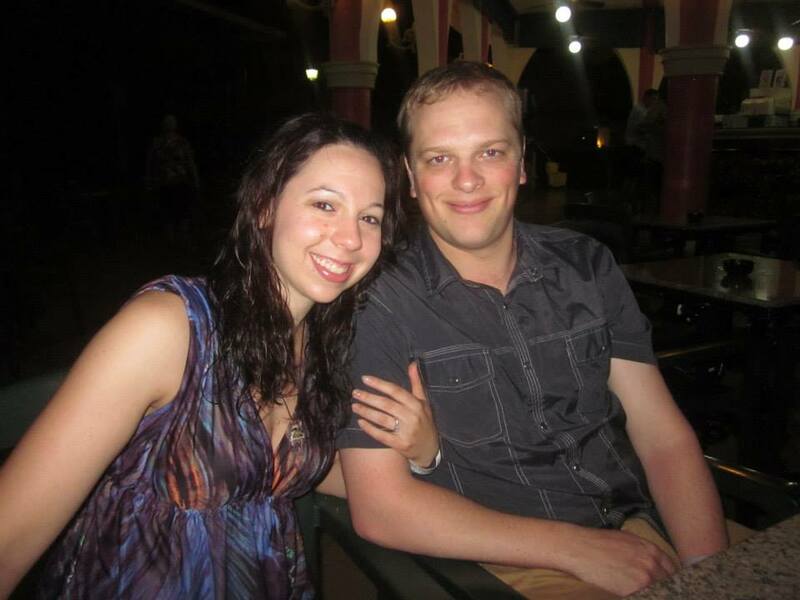 They are planning a wedding in 2015 in The Dominican Republic. 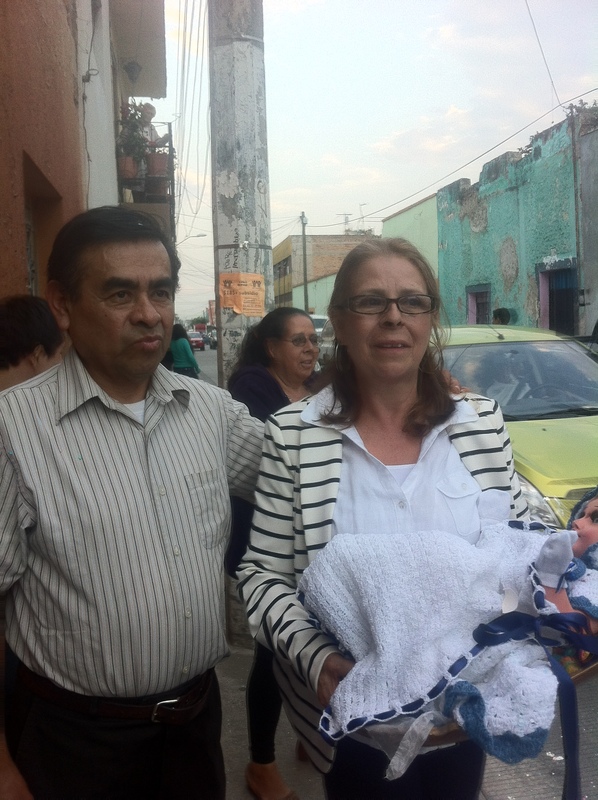 I stayed in Guadalajara the entire month teaching and writing. 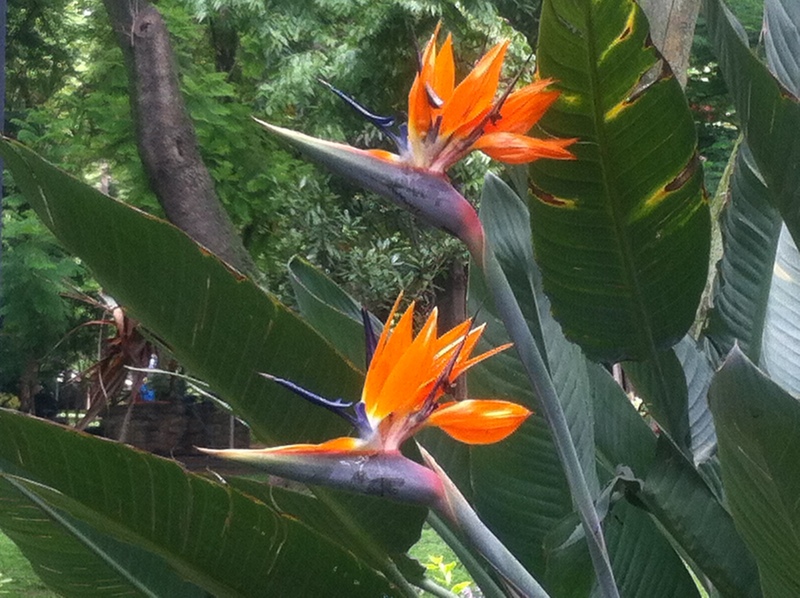 Spring was definitely on the way, along with some gorgeous flowers. 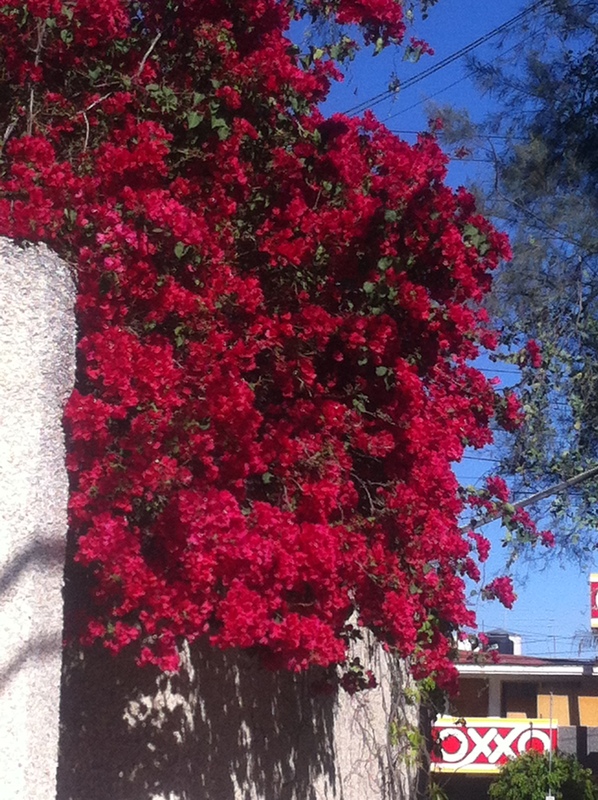 April arrived and I remained in Mexico rather than returning to Winnipeg as I had in past years.. Instead I made a quick trip to Texas as my tourist visa was about to expire. 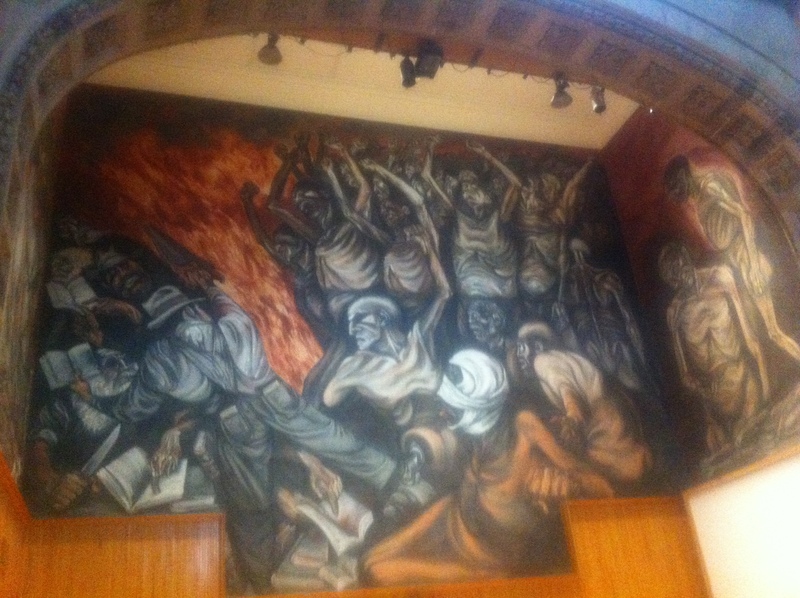 Upon my return to Guadalajara I visited Hospicio Cabanas and was delighted with the amazing murals, statues and other artwork on display. 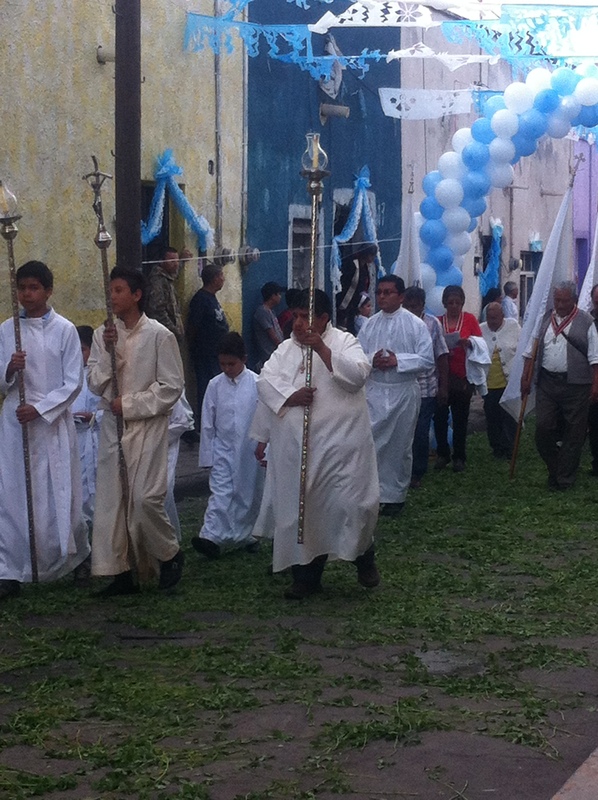 I also participated in a Via Crucis before Easter where we walked approximately 5 kilometers in San Pedro and visited twelve churches. 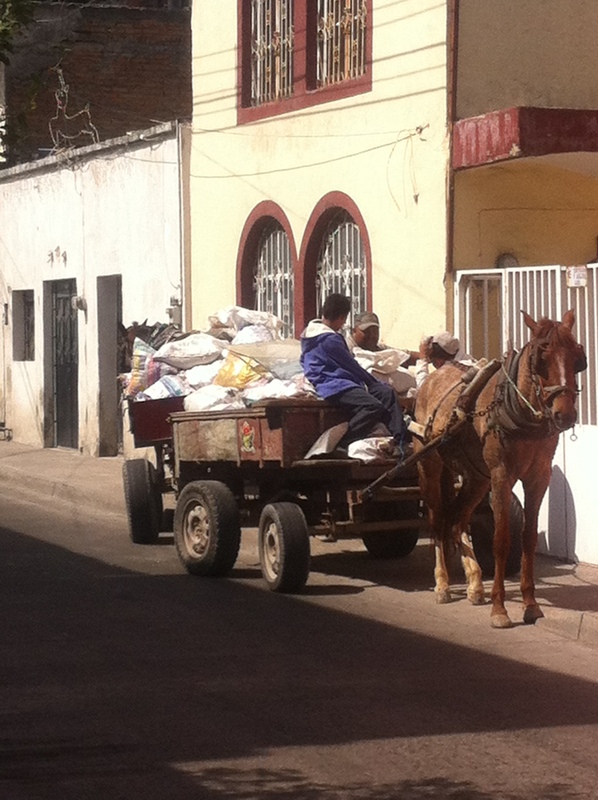 Another day trip found me in Zapotlanejo, a small town renowned for its clothes shopping. Many of the stores featured live models. But the town also has a beautiful as well as very old church. And of course I visited my beloved Parque Mirador. 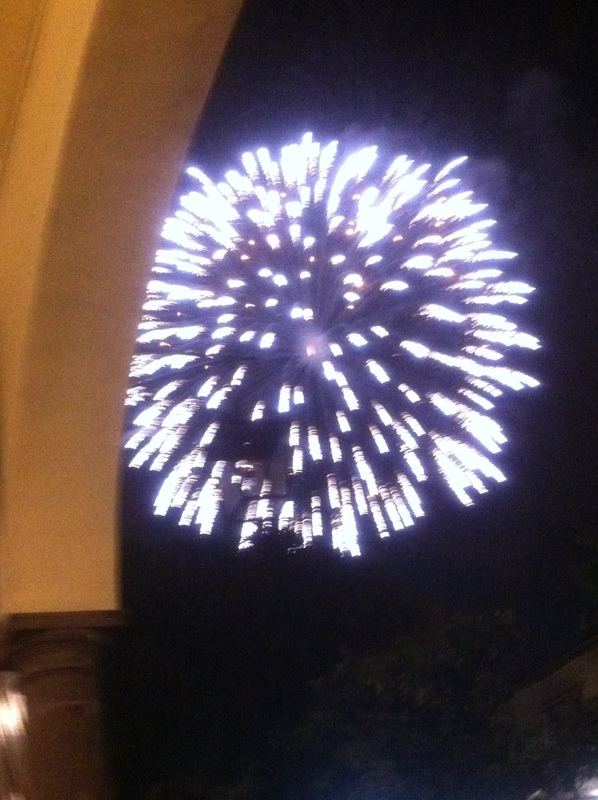 May began with a bang with celebrations for Day of the Holy Cross. 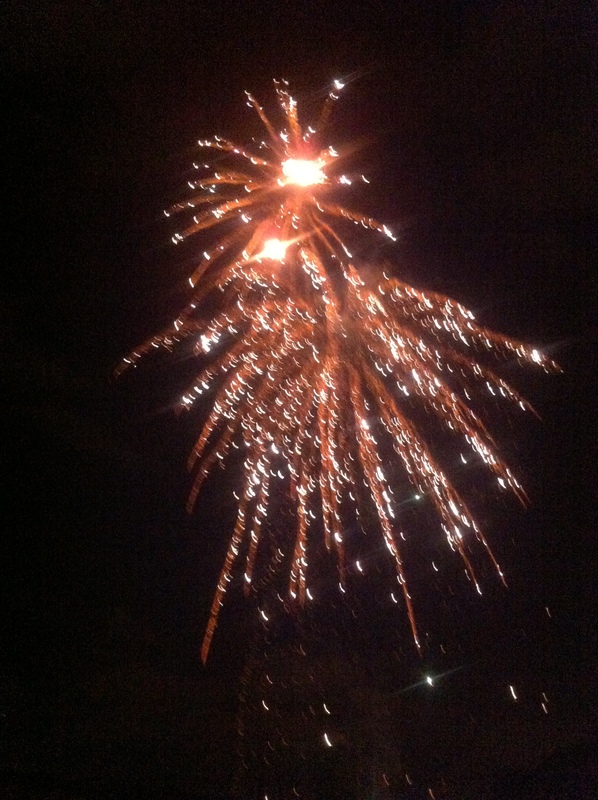 Around the corner from my house was a festival complete with rides, food , music and, of course, fireworks. 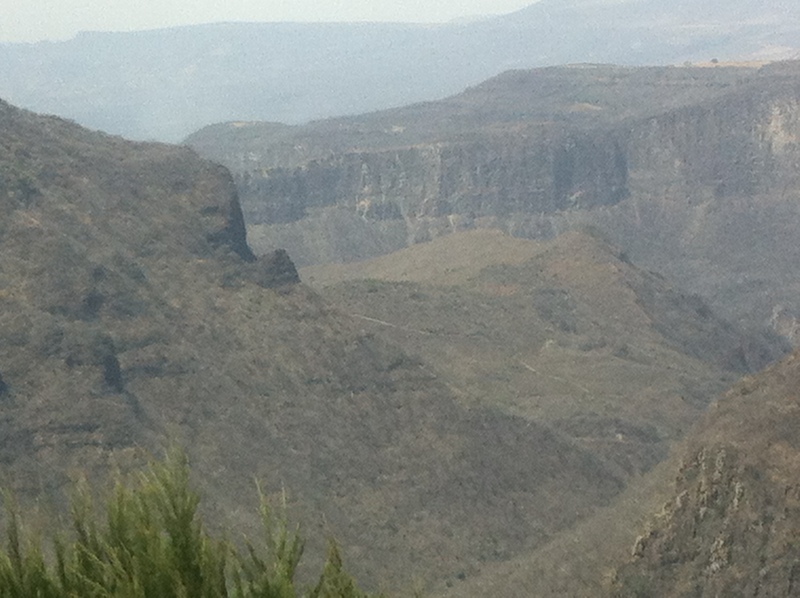 I visited my friend Omar in Tototlan, a small town close to Guadalajara. It was very relaxing and also a treat to have someone cook breakfast for me on Mother’s Day. 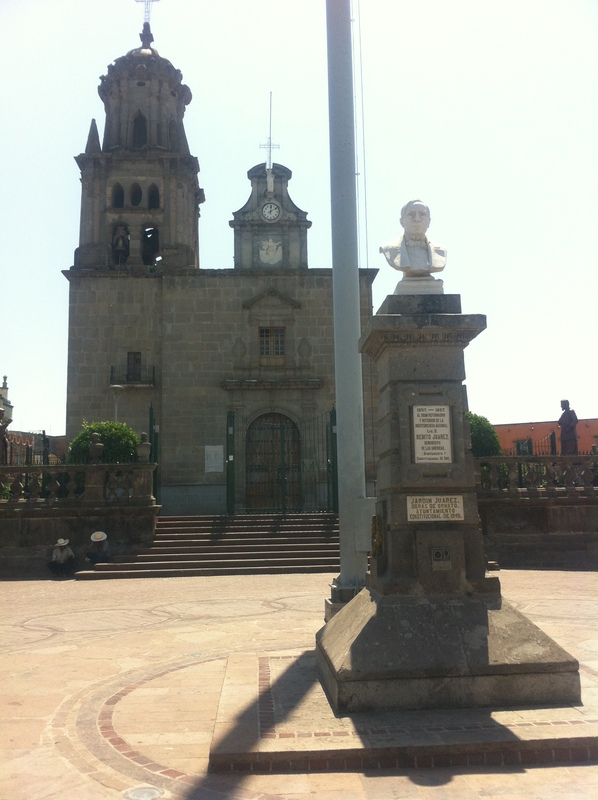 Here is a view of the church in the plaza. I celebrated my birthday in May as well with my friends and housemates. My actual birthday fell on a Friday, my day off, so I was also able to spend a relaxing afternoon at Parque Mirador, my favorite place in all of Guadalajara. 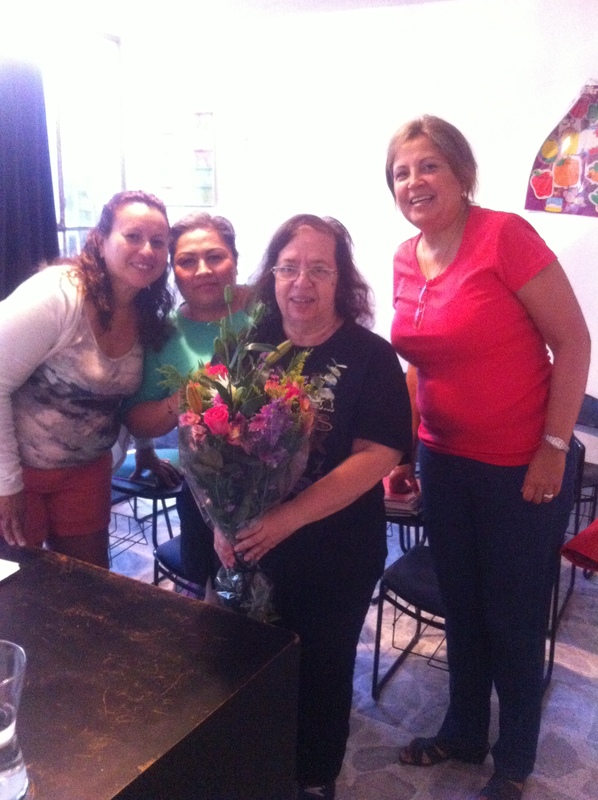 May was also Teacher’s Day in Mexico. 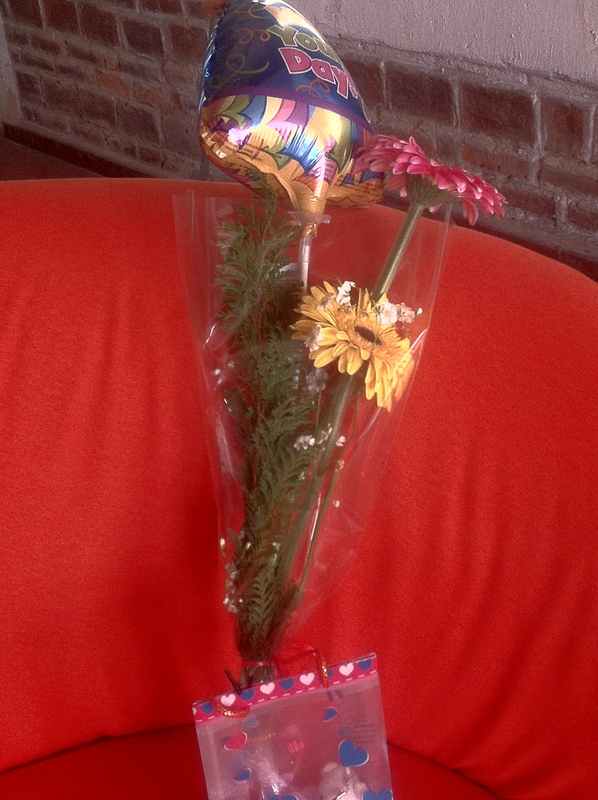 Below is a photo of two of my students who presented me with a beautiful bouquet of flowers. 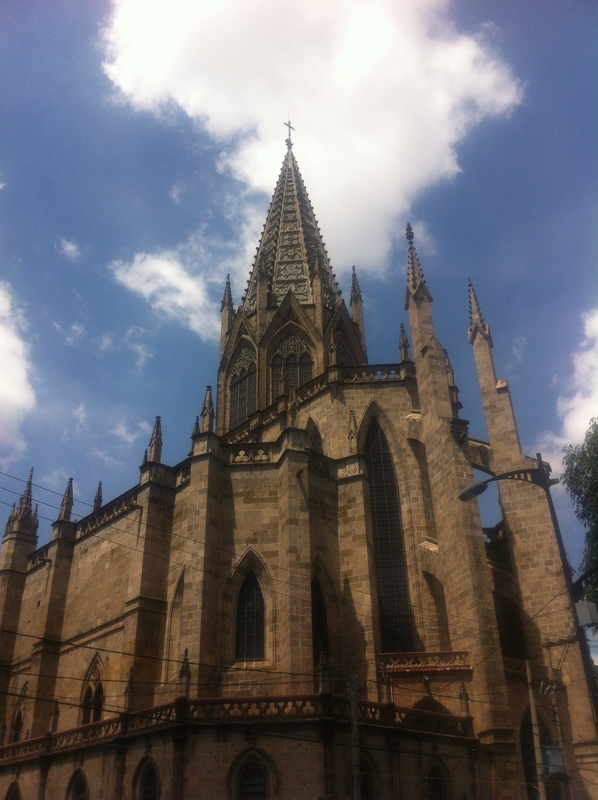 I spent the month of June checking out churches, squares and statues in Guadalajara. 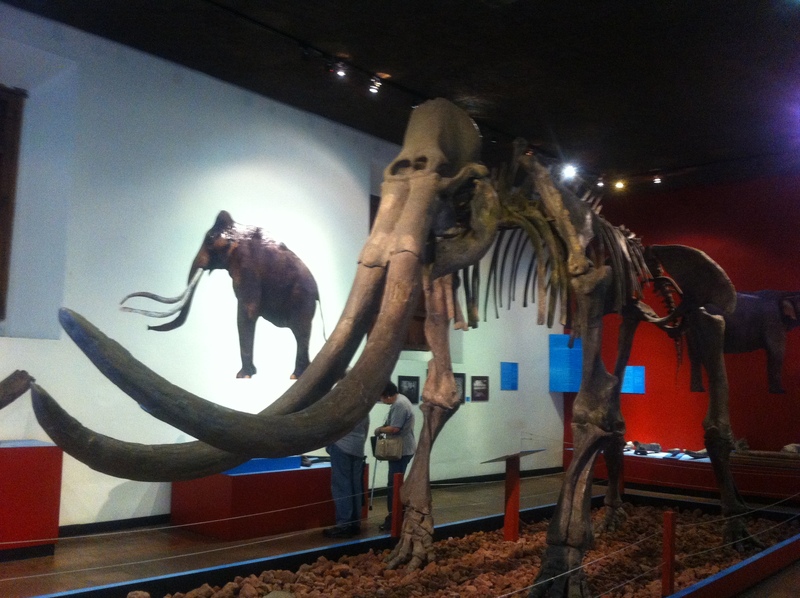 I also went to the Regional Museum and marveled at the artifacts, statues and art throughout the building. 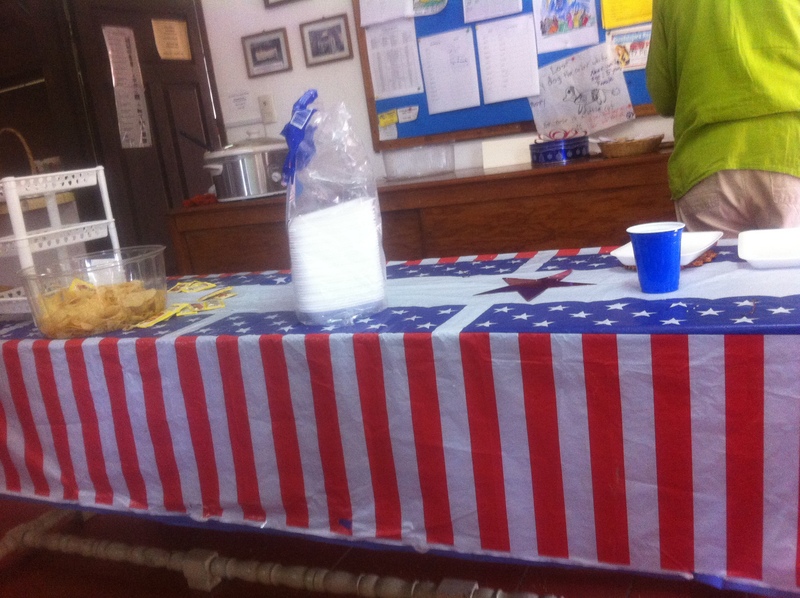 July began with a fourth of July celebration at St. Mark’s Church. 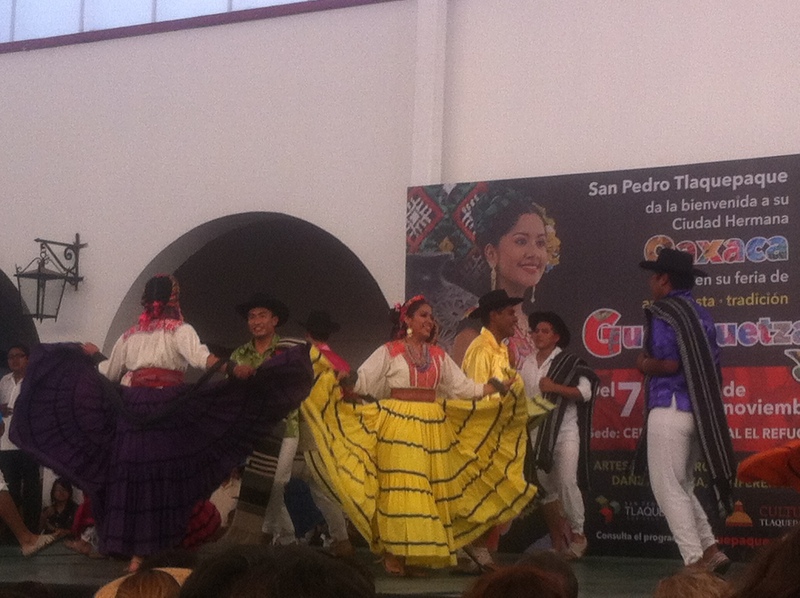 It was also another touristy month for me here in Guadalajara. 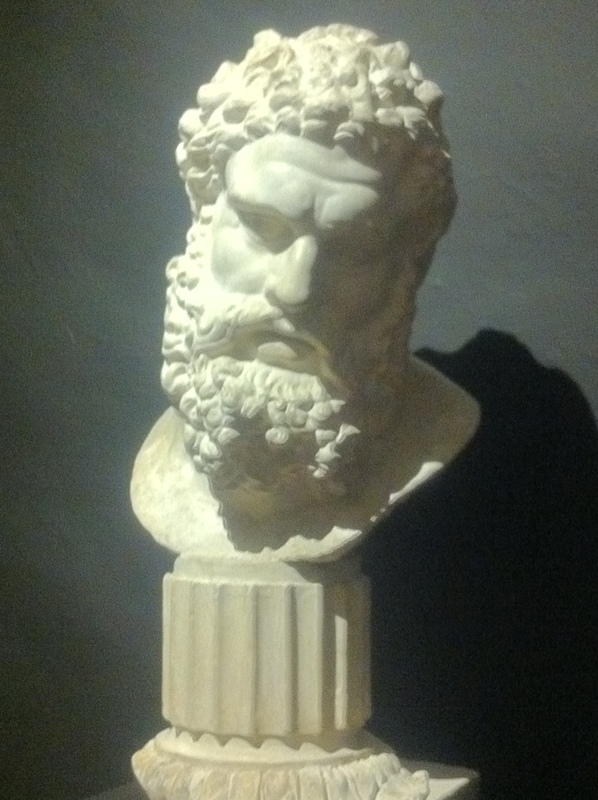 I visited churches, admired statues and checked out more museums. 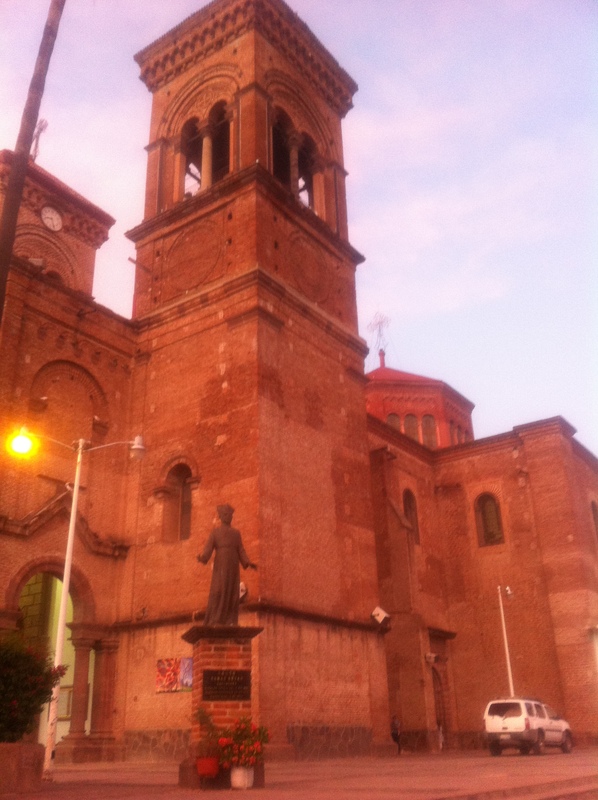 Templo Espiatorio is an amazing church not far from Centro. 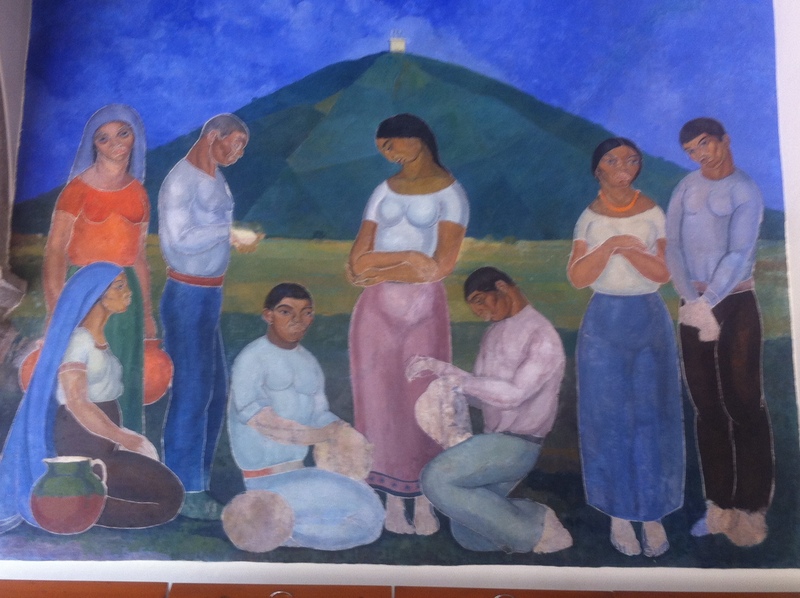 At the Museo De Las Artes I was overwhelmed by the magnificent Orozco murals. And of course I visited my beloved Parque Mirador again. I also spent a relaxing afternoon at Parque Agua Azul. The fountains were not flowing, but the scenery is lovely and it’s a peaceful place for reading. 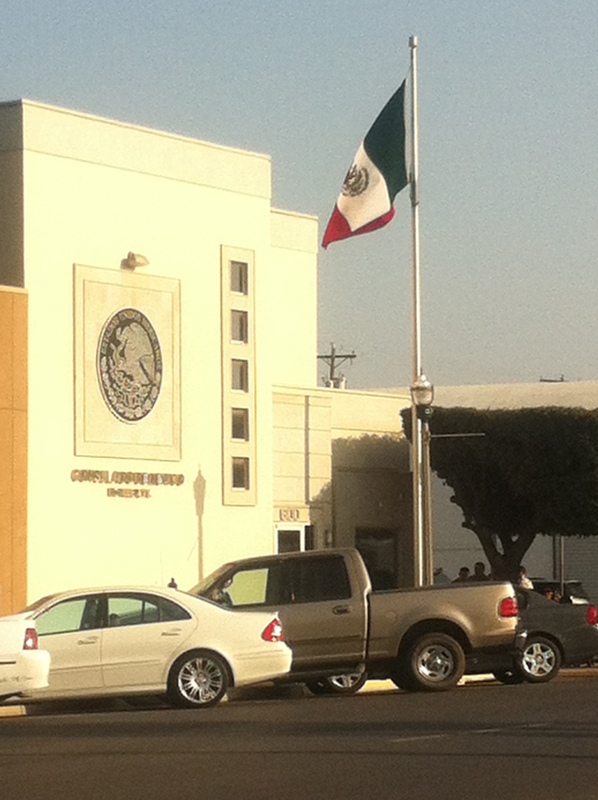 The end of the month found me in McAllen, Texas for my interview at the Mexican Consulate. August was highlighted by reunions with two dear friends. When I lived in Culiacan, Carmen and I were neighbors. 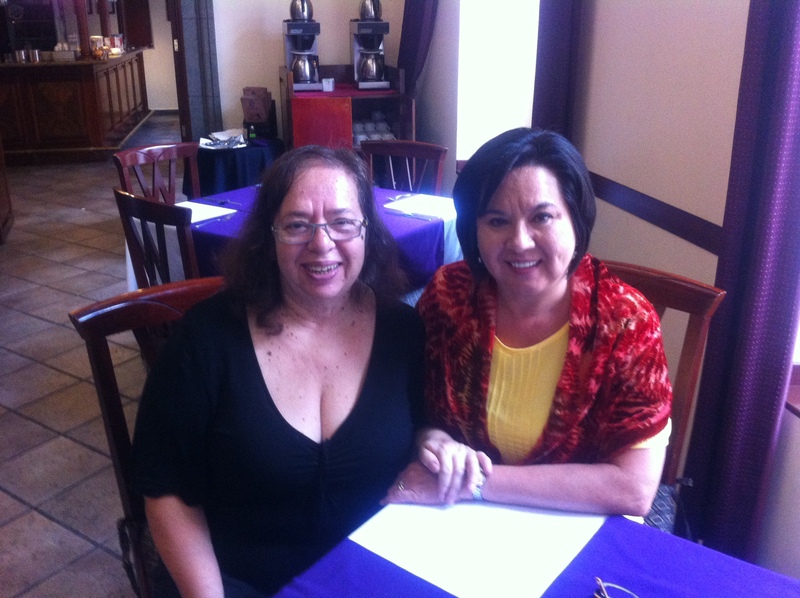 We had brunch together when she came to Guadalajara for a conference. 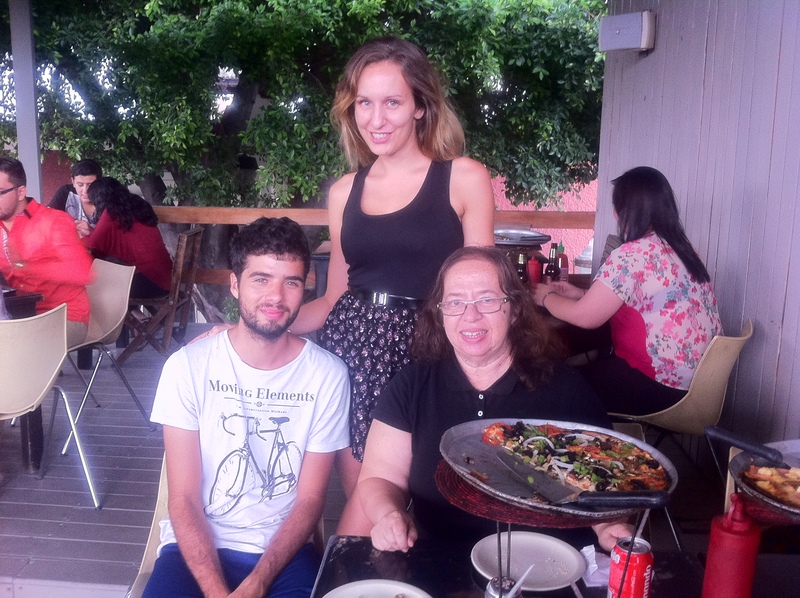 Miriam returned from Norway and we went out for pizza, along with her boyfriend Cristian. I continued exploring Guadalajara. 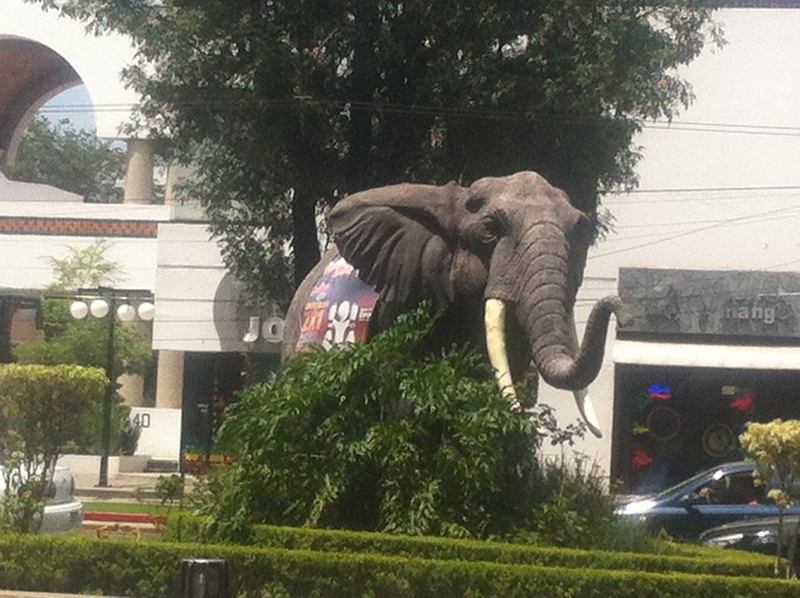 I visited more churches, returned to the canyon, and found this delightful elephant at Centro Magno, a shopping mall. 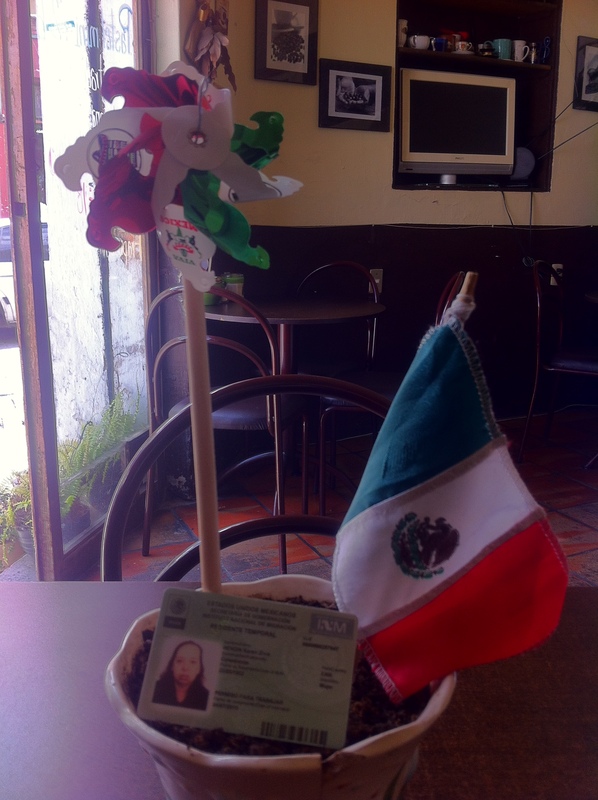 September was an exciting month here in Mexico as Independence Day is celebrated on the 16th. 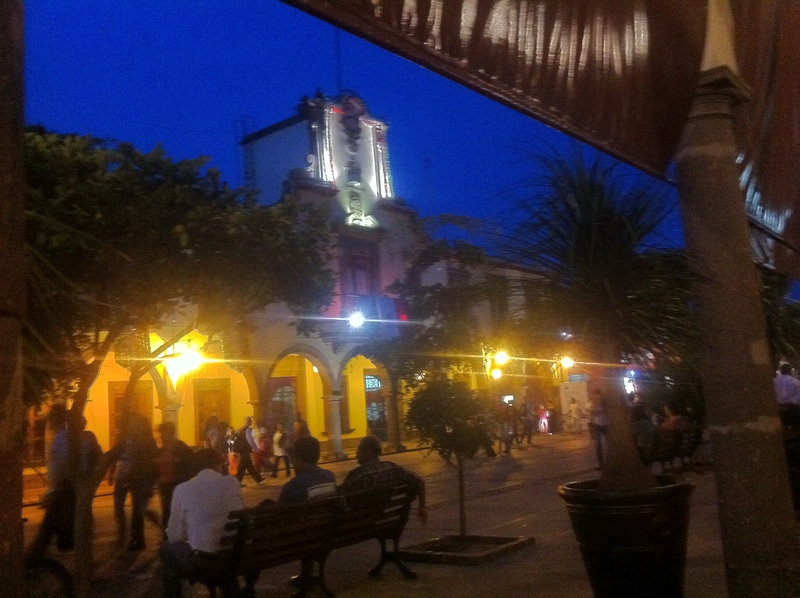 A friend and I sat at The Parian sipping tequila and had an awesome view of the government building. The gritto was followed by fireworks and music. September was also exciting as my work visa finally came through after months of documents, visits to Immigration and waiting. 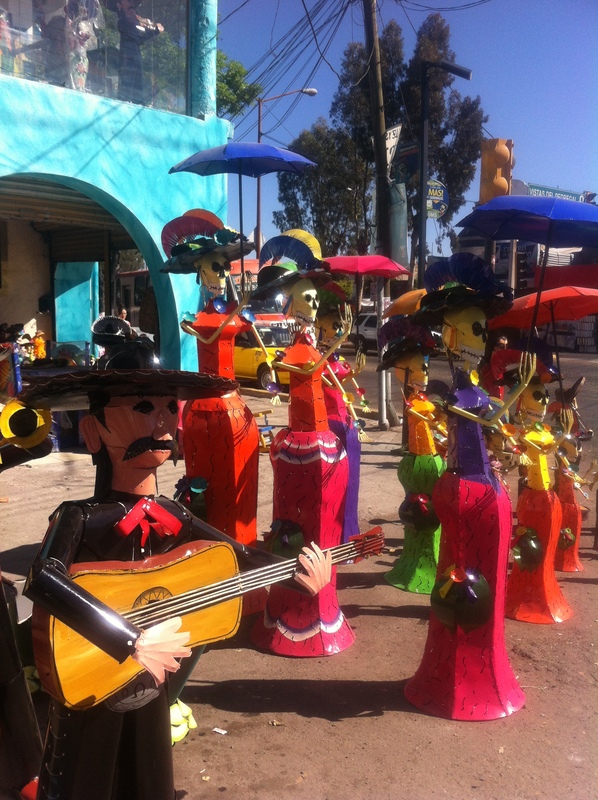 October in Tlaquepaque means preparing for Day of the Dead. 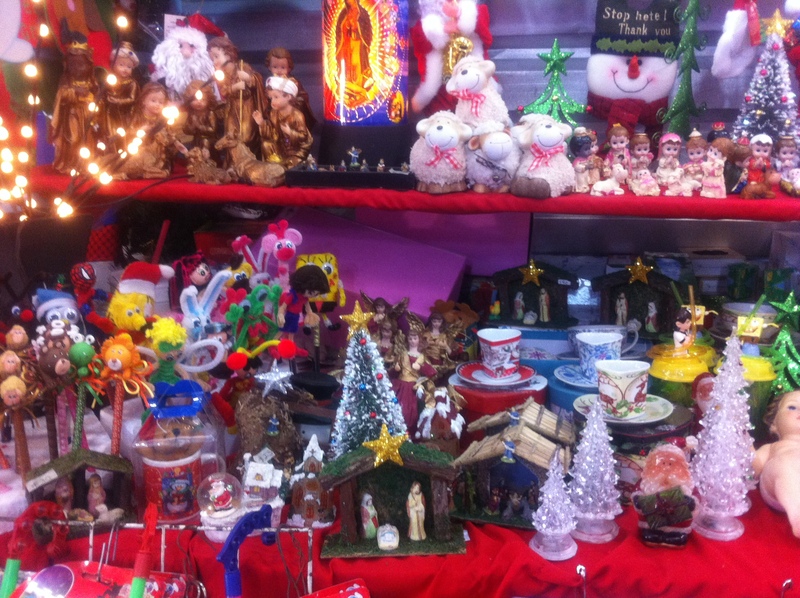 The streets are colorfully decorated and extravagant altars are displayed in El Refugio. 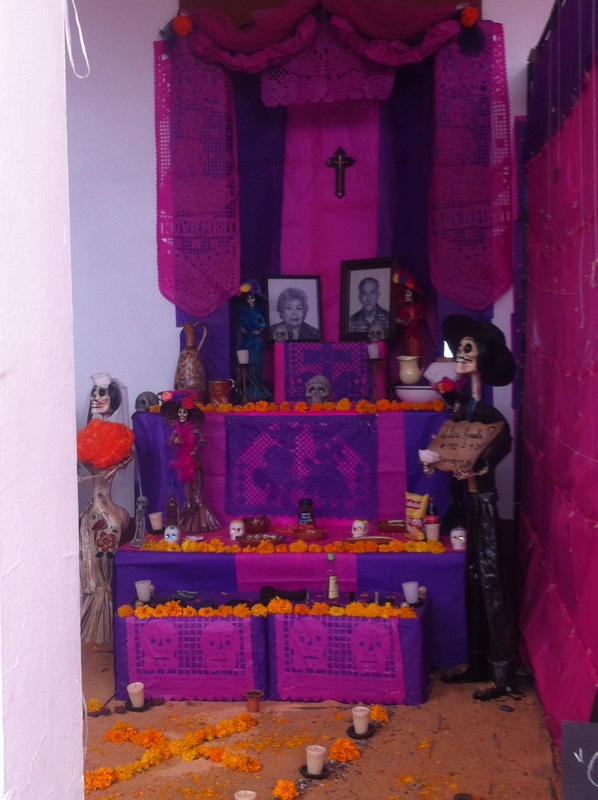 But the highlight of October was traveling to Culiacan to spend Halloween and Day of the Dead with my family. 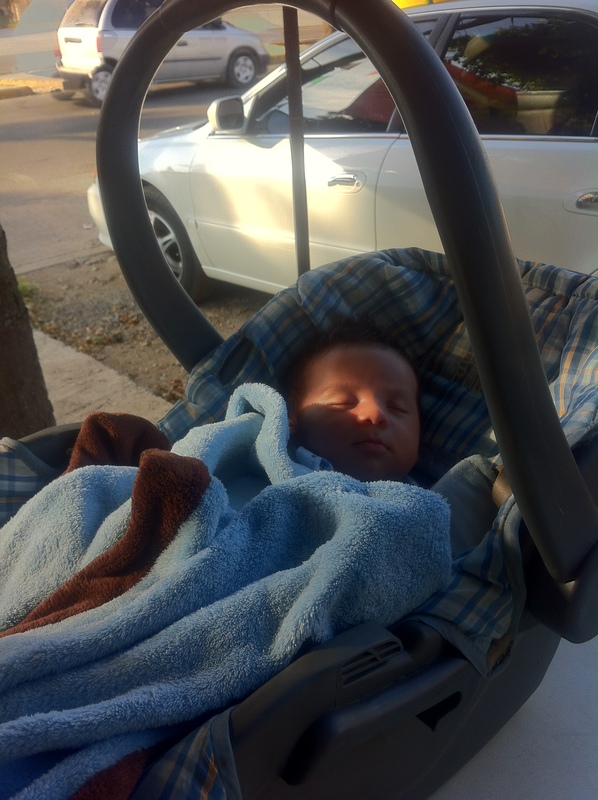 I also was delighted to meet my newest nieto. 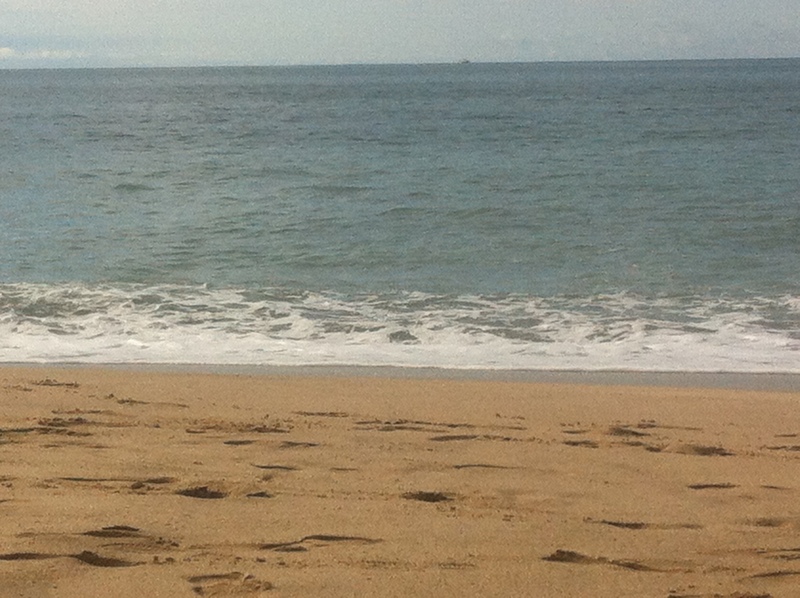 My next stop was Mazatlan, my favorite beach. Although Hurricane Vance stopped by for a brief visit, I still had time to bask in the sunshine on the beach. And then November arrived with blusteringly cold temperatures. Overnight lows of 0 and 1 convinced me that it was time to buy some gloves. But there was lots to do indoors when the temperatures plummeted. 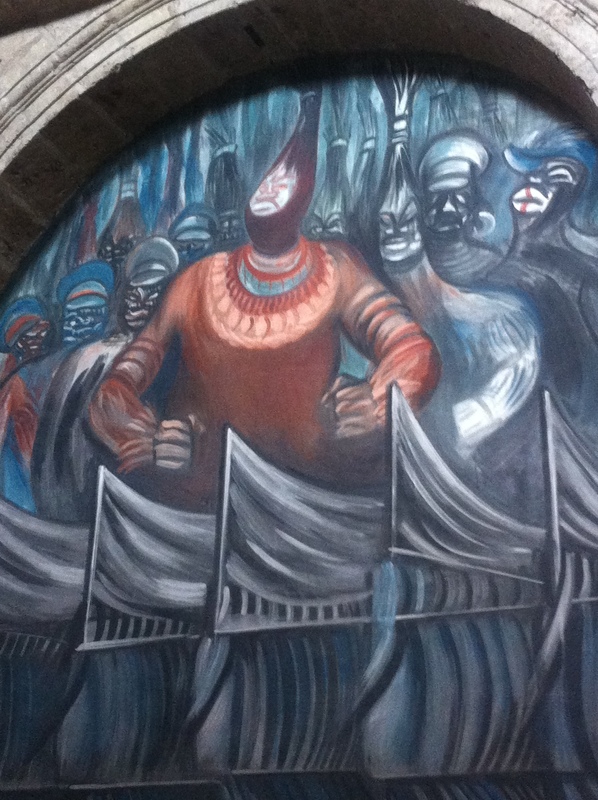 El Refugio was a haven from the cold when the Oaxaca exhibit was held. An abundance of music, dancing, food and vendors prevailed. 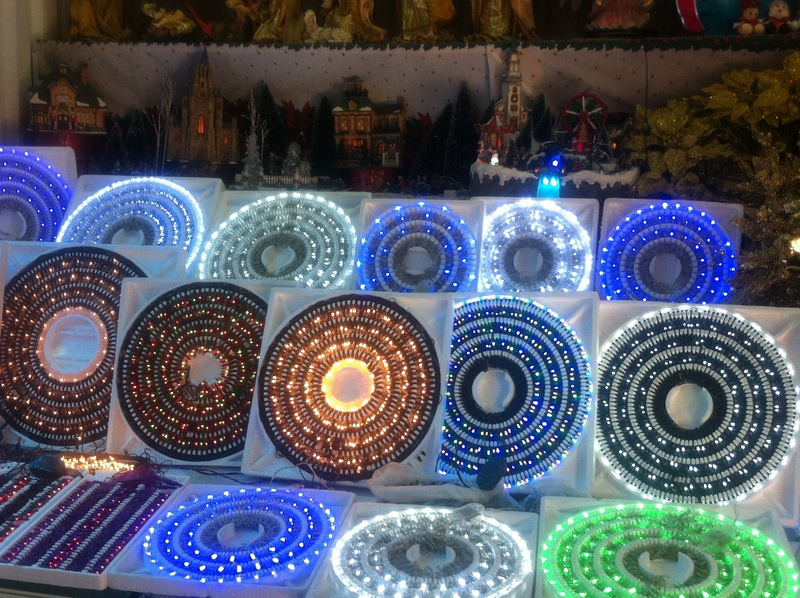 In Centro a multitude of vendors set up in stalls to display their Christmas items. Around the corner from my house a neighborhood celebration was held with music, magicians, luche libre, and rides for the children. 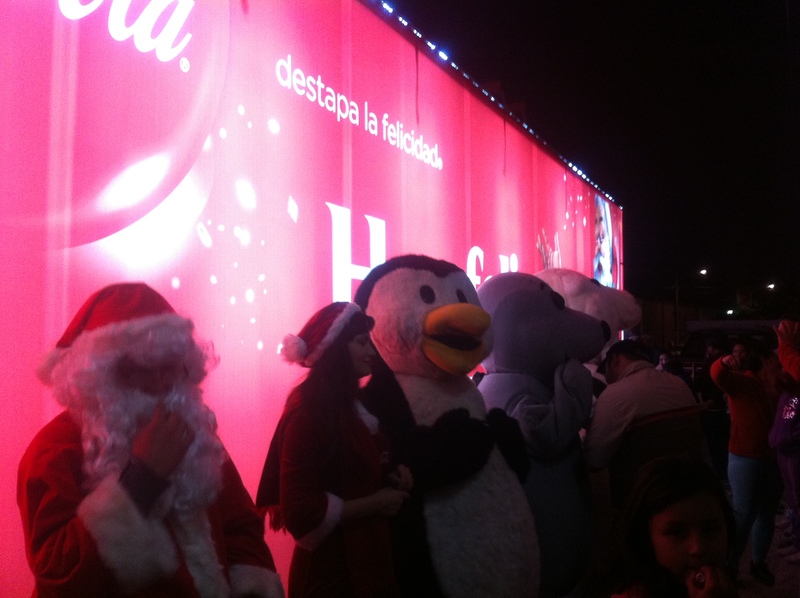 And on another evening these characters came to visit courtesy of Coca Cola. December has passed by quickly in preparation for Christmas. 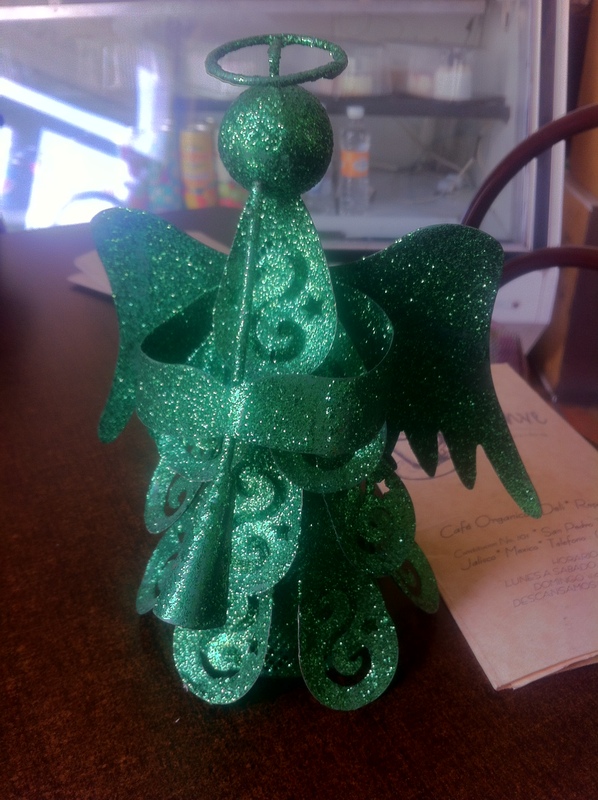 My favorite coffee shop, Jahanve, has these festive angels on the tables along with the usual sugar and serviettes. I went to Sueno Magico at Clover Lawn Mansion, an amazing winter wonderland with a magnificent display of lights and awesome entertainment. 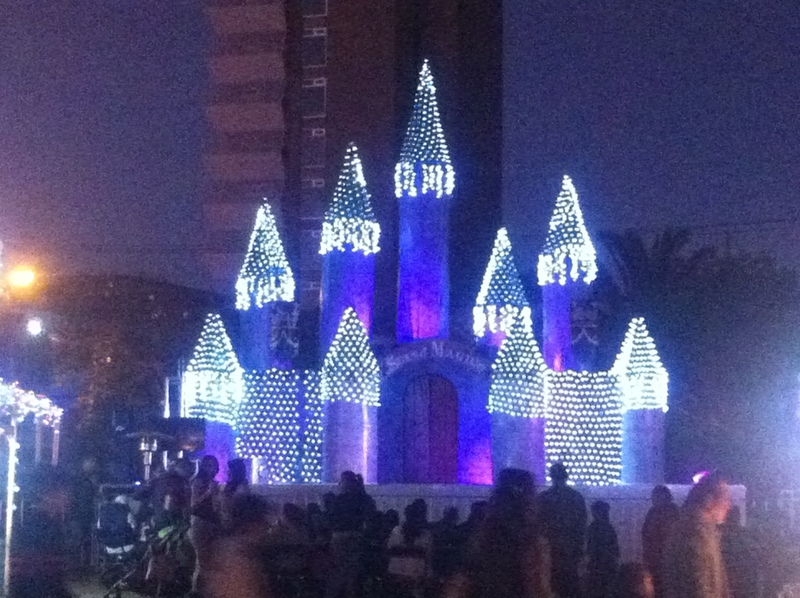 Rides and activities for the children as well as a visit with Santa Claus were also featured here. 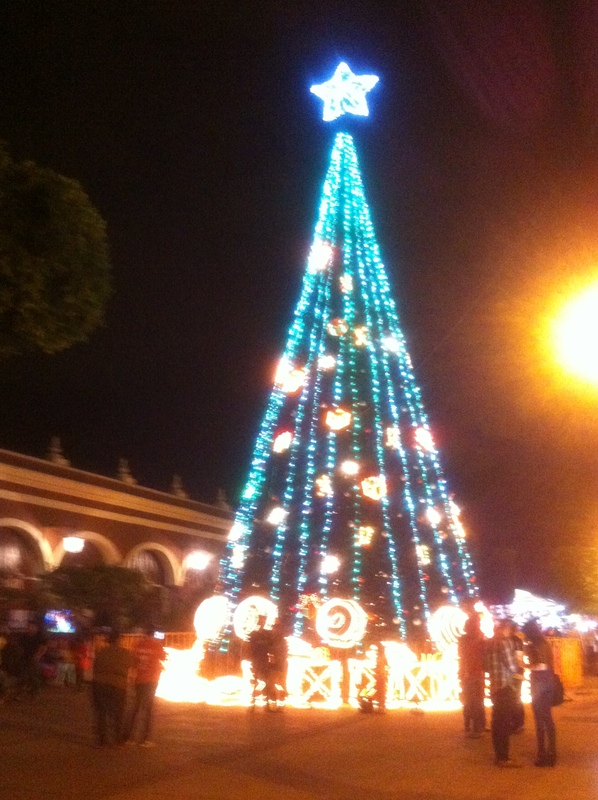 Just blocks from my house in Tlaquepaque this amazing tree shines brightly. Tomorrow I am off to Tototlan to spend Christmas with a friend. 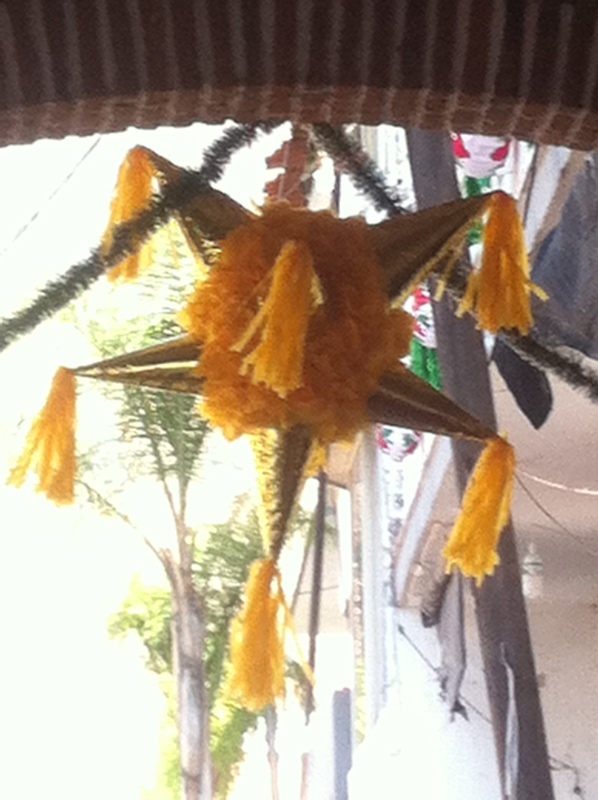 It will be interesting celebrating this holiday in a small Mexican town. We are preparing a traditional dinner complete with turkey and all the trimmings, different from the usual pozole and ponche which is the norm here in Mexico. 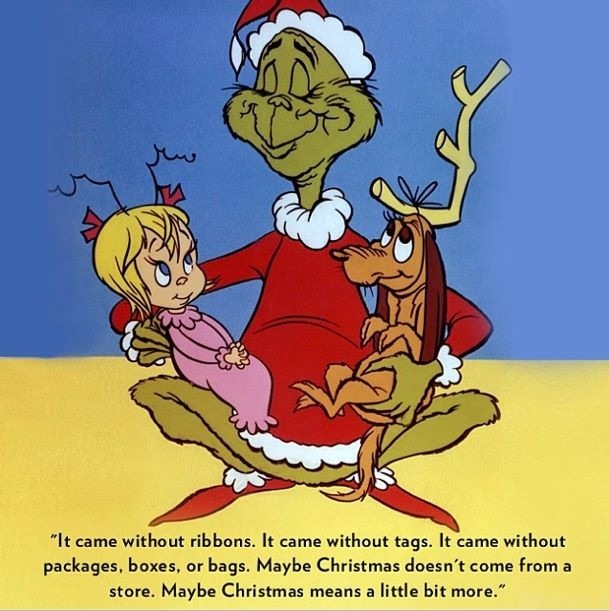 As this is my last post before Christmas, I would like to wish my family, friends and blog followers a Merry Christmas. Enjoy your holiday celebrations wherever in the world you may be. May they be filled with family, friends and fun.